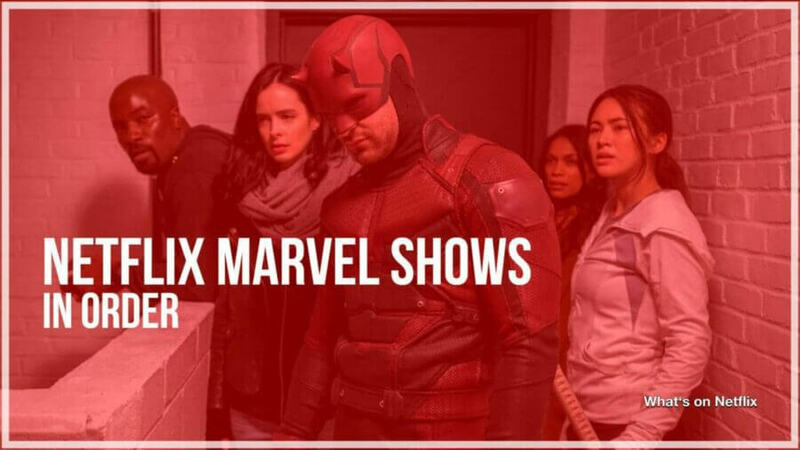 The Marvel Television series are officially dead on Netflix but if you’re wondering what order you should watch the Marvel series on Netflix, you’ve come to the right place. Here’s a recap and guide to streaming all of the twelve series The Defenders on Netflix. With the unprecedented success of the Marvel Cinematic Universe, it was only a matter of time before the lesser known superhero’s out of Marvel’s ginormous catalog would be brought to the small screen and on April 10th, 2015 Netflix released Daredevil. 4 years and a total of 12 seasons later Marvel and Netflix has successfully bought a shared universe to life in the TV space. Sadly this came to a slow and painful end as all of the shows have officially been canceled. Please Note: Season 3 of Jessica Jones is yet to be released. Matthew Murdock Lawyer by day, crime-fighting vigilante at night. As a child, Matt was tragically blinded by a radioactive substance, although no longer having use of his vision his remaining 4 senses were heightened to a superhuman level. After the untimely death of his father, Matt was left to be raised in an orphanage. With no family and a sense of justice to help those in need Matt trained to become a lawyer while in secret trained to become a master in hand to hand in combat so he can take the fight directly to the streets of Hell’s Kitchen. His best friend and business partner Foggy know him as Matt Murdock the Lawyer but the city will learn to call him the Devil of Hell’s Kitchen. 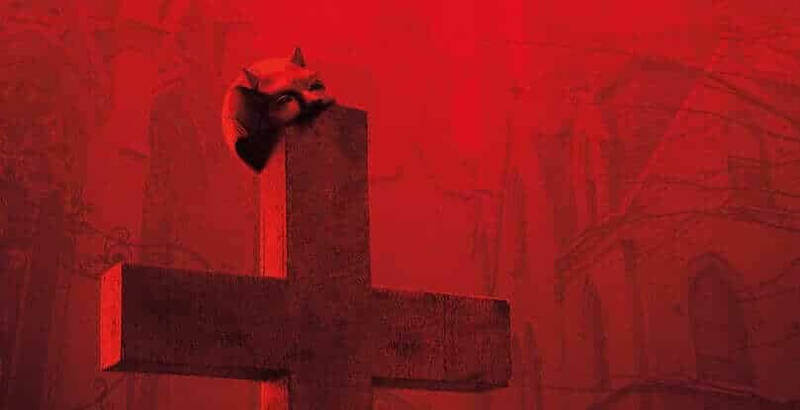 I have always been a fan of Daredevil ever since I was a child but after the disappointment of the Fox adaptation of the Daredevil I was unsure if the tv show was going to be good and boy was I wrong. Netflix hit a home run with this show at the start of 2015 and is still by far one of the best seasons in Superhero TV history. With it’s a grittier and more grounded approach to being a vigilante the show stood apart from the rest of its rivals and by the end of the season, it left me wanting more and more. Perhaps one of the best villains on screen in recent times Wilson Fisk (Portrayed by Vincent D’Onorfio), is a cold and powerful presence in every scene leaving you on the edge of your seat. After surviving the car accident that caused the death of her parents and brother, Jessica awoke to discover she has superhuman strength. As an adult, Jessica runs her own private investigator agency, suffering from PTSD after being under the control of the Brainwashing Kilgrave (Portrayed by David Tennant), Jessica struggles to lead a normal life. After the brief and abrupt end to her Superhero career relying upon a bottle of bourbon to get her through the day, Jessica comes across a case that will force her to face the demons of her past and to discover who she is. After the success of the first season of Daredevil, I was incredibly hyped for this show and I most certainly wasn’t let down. Touching upon issues I never thought I’d see in a superhero show Jessica Jones was a clever and powerful season of TV. 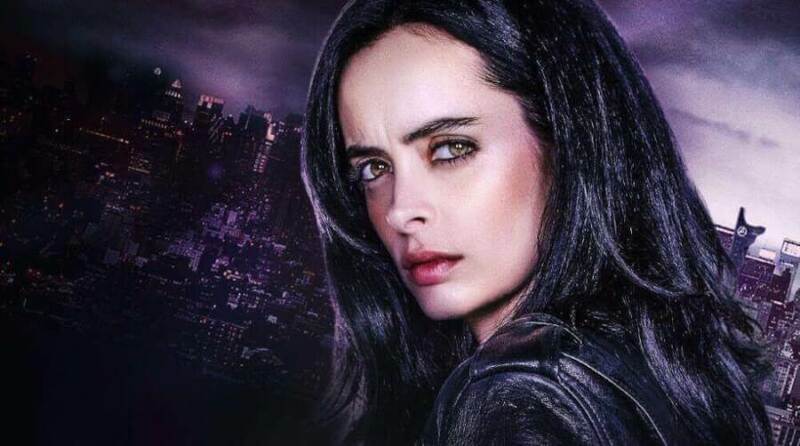 Ever since seeing Krysten Ritter in Breaking Bad I was excited to see what she would bring to the role of Jessica Jones and she absolutely nailed the character, perhaps it is the Brit in me but seeing someone use sarcasm, wittiness and a dry sense of humor the way Krysten Ritter does is thoroughly entertaining. Her on-screen partner David Tennant portraying the role of Kilgrave perfectly steals each scene he is in having your eyes locked on the screen leaving you on the edge of his every word. Following on from the events of the first season Matt Murdock finds himself facing enemies both old and new. Struggling with the double life he is leading Matt faces his hardest challenge yet. 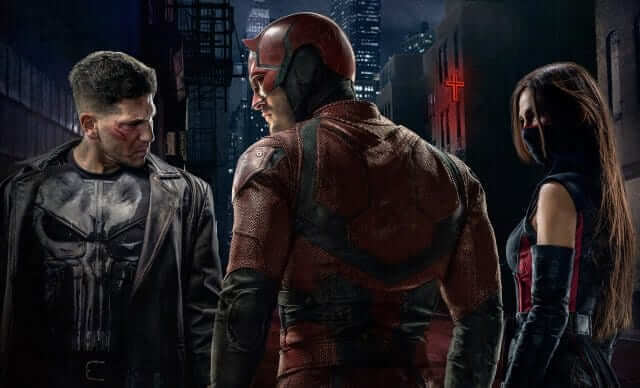 Out of all the season’s for the Marvel TV-verse, Daredevil season 2 has easily left the fans with the most divided opinion. For some, this was a tale of 2 halves (quite literally) with the introduction of the Punisher (Portrayed by Jon Bernthal), the first half of this season was explosive and action-packed and in the 2nd half of the season focusing more on the relationship of Matt Murdock and Elektra Natchios (Portrayed by Elodie Young). 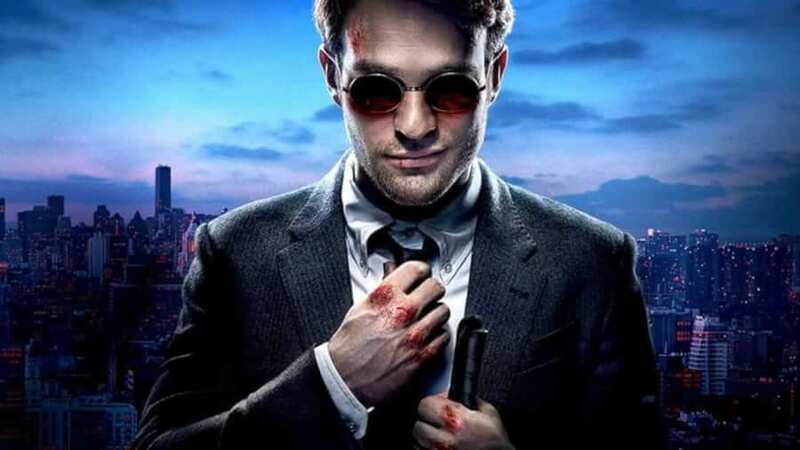 Overall I really enjoyed this season and it definitely doesn’t deserve the criticism is sometimes receives, although it doesn’t quite beat the first season of Daredevil it is still a fantastic season of television and a must watch. 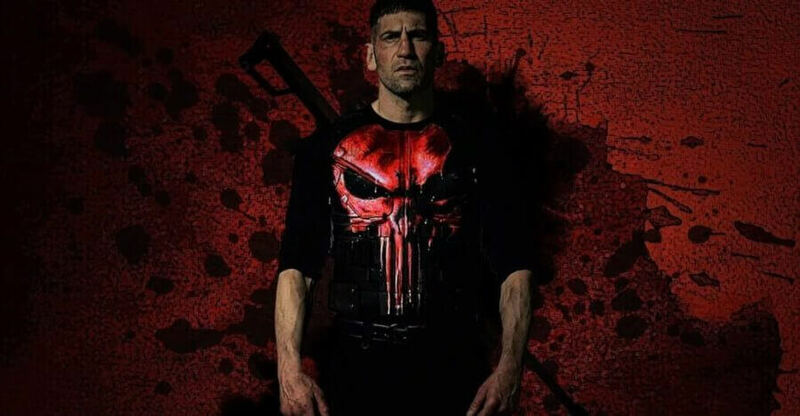 Jon Bernthal in a role he was born to play goes without saying amplified how good the first half of this season is, with the introduction of the Punisher easily is the best thing about the 2nd season. Carl Lucas or better known as Luke Cage is a bulletproof man. A former cop that was framed for murder, Luke just wants a peaceful life but as it would have its trouble always finds a way to land at his door. Tired of the corruption and crime on the streets of Luke decides enough is enough and will use his powers to clean the streets of Harlem. Since I first saw Luke Cage this season has had me very conflicted, while it doesn’t show the quality of what Daredevil and Jessica Jones brought before, Luke Cage is still a good show in its own right but the high points from this season gravitate around the villain Coppermouth (Portrayed by Mahershala Ali) and its excellent soundtrack. More relatable to the real world Luke has to take on a Crimelord and political corruption rather than an ancient order of Ninjas or a psychotic superpowered villain. 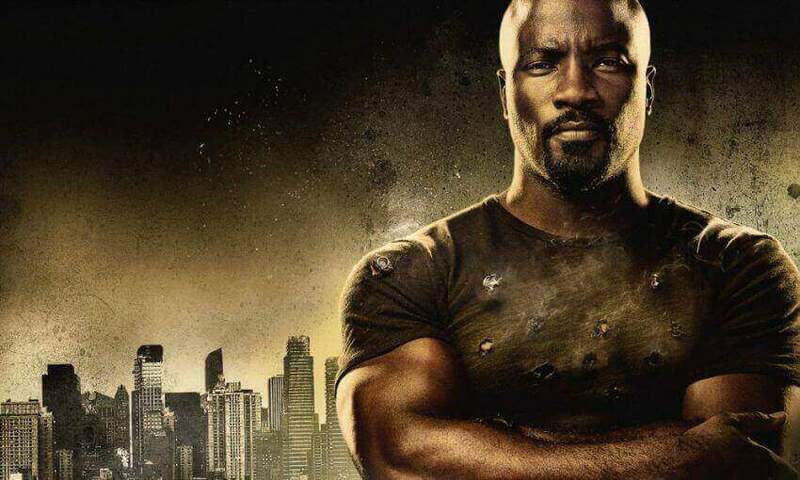 Mike Colter is brilliant as Luke Cage, with a smooth as butter voice and the body of an NFL linebacker you can believe that he really is Power Man. Danny Rand was only 10 years old when he survived the plane crash that killed his parents. After spending over a decade being raised by the Monks of K’un-Lun, through great trial and ordeal Danny has become the Immortal Iron Fist. Wanting to reconnect with his past Danny leaves the sanctuary of K’un-Lun and sets out to New York. Discovering his families billionaire business is now in the hands of his father’s business partner, he will stop at nothing to restore the family legacy. It’s safe to say that 4th title character of the Defenders fell flat on its face in his first outing. 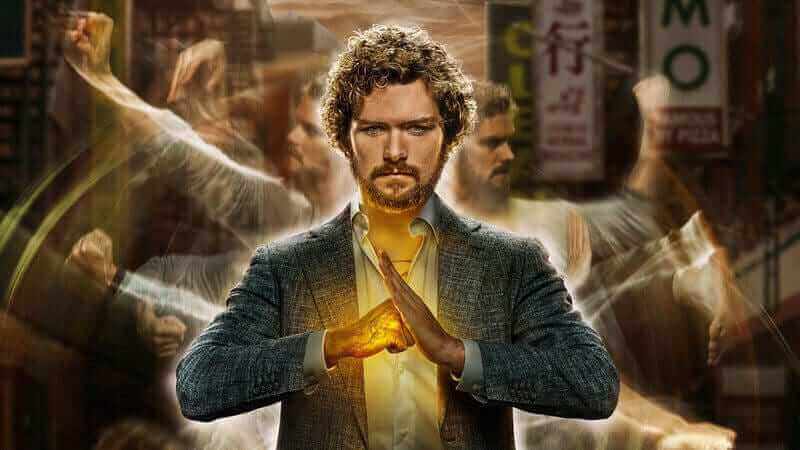 Perhaps everyone’s least favorite defender Iron Fist failed to connect with the fans and really missed the mark. To put it simply Danny Rand is a hard character to relate too, to which he also isn’t very likable character anyways, there are many times in the season where he shows the slightest bit of character development to only have it reverted back to what made him flawed. The return to society comedic troupe we’ve seen far too many times over the years on TV and Movies and very much felt stale in this show. The actor Finn Jones is a perfectly good actor to play the role of Iron Fist but poor writing and a weak plotline really hindered the first season. The last thing Netflix would want is for anyone to skip a show in their expanded universe but that’s the problem with Iron Fist, you can skip the show go straight into the Defenders and not much context is needed to understand who Danny Rand is. A sequence of events brings the Heroes of New York City together for the first time. Facing a threat that threatens the entirety of New York City, to accomplish their goal of saving New York the heroes must unite together to become the Defenders. After waiting 3 years to see what is the equivalent TV version of the Avengers I was rather disappointed, while fun to see the coming together of the TV-verse characters this whole season was a little lackluster for my liking. It took 3 out of the 8 episodes to get all the Defenders in one room and by the time they were properly working together the season already felt like it was close to ending not to mention for the 4th season out of what would have been 6 seasons of content the hand were back once again to wreak havoc on the city of New York *yawn*. 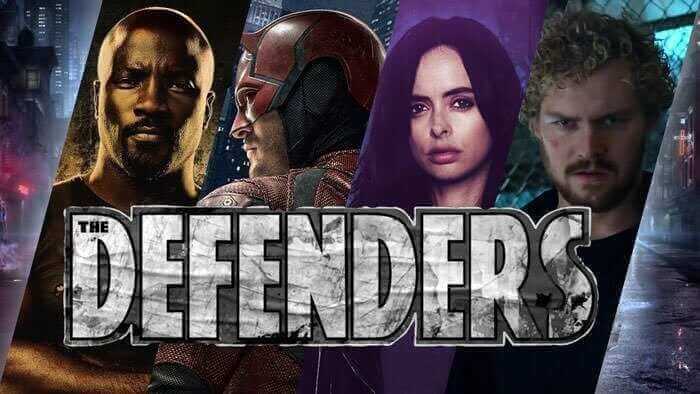 The Defenders certainly aren’t held up in the same regard as their larger-screened cousin and for good reason too but it isn’t all negative for this season though. The fight scenes were brilliant and well choreographed, having 2 characters who are well trained in martial arts will help that. The comedy between Luke and Jessica was at times charming and who doesn’t love the potential of seeing a budding bromance between Luke Cage and Iron Fist? Spectacular as always Sigourney Weaver was the biggest highlight of this season however brief it may have been. After taking revenge on those responsible for the death of his family, Frank Castle uncovers a conspiracy that runs far deeper than that of New York’s criminals. Frank will stop at nothing using any means necessary to Punish those involved. Just when Netflix needed a show to reignite the love for their expanded TV Verse along came Jon Bernthal as The Punisher. After the popularity of his appearance in season 2 of Daredevil, Netflix confirmed their order for the Punisher series. 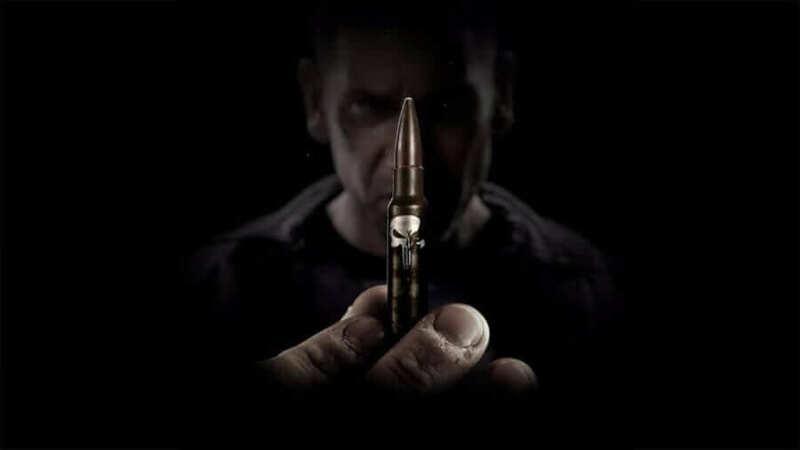 Not shying away from what everyone loves about the Punisher, this season was thoroughly entertaining, packed full of action and brutality the Punisher really was great. Jon Bernthal reprising his role was born to play the character, cold, ruthless and without mercy, he perfectly presents the character the way he is loved in the comics. Despite the mixed reviews received from both critics and fans alike, this is a personal favorite of mine and I for one cannot wait for the second season of this show. After the leaving the influence of Kilgrave behind her, Jessica takes on a new case that leads her to confront her past again and the origins of her powers. 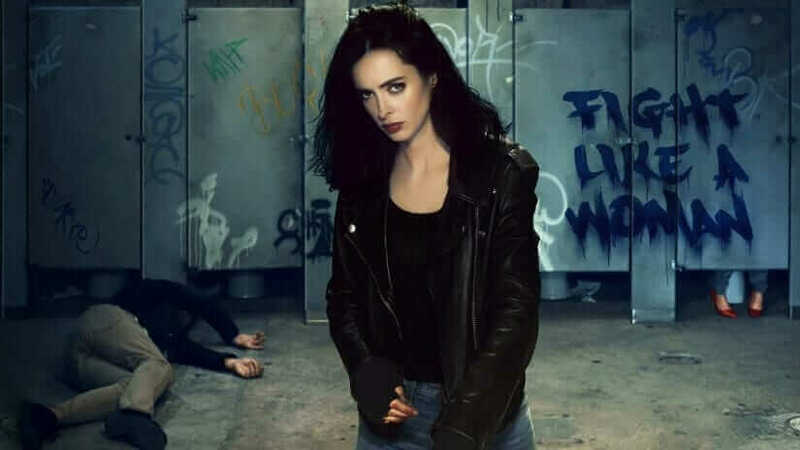 There isn’t much for me to say about this season, compared to its first outing I felt the second season of Jessica Jones didn’t live up to my expectations. At times a superhero is only as good as it’s villain and with the absence of David Tennant as Kilgrave and no viable replacement the story of this season definitely suffered. 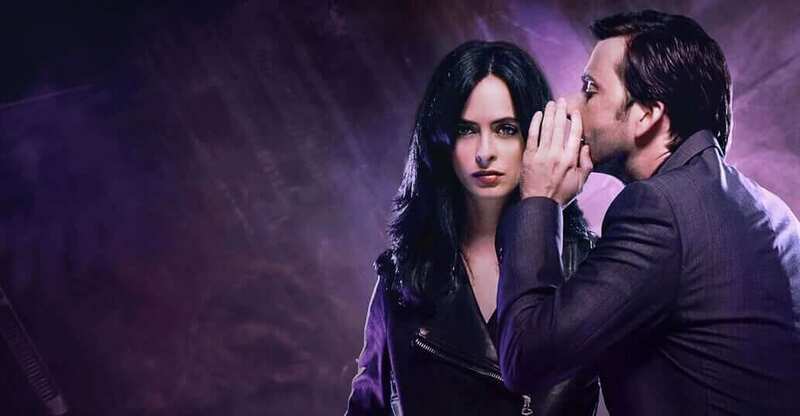 Admittedly there are very good points to the show such as Krysten Ritter reprisal as Jessica continued to be excellent, with what she brings to the role she is definitely the stand out star in the series while those around her struggle to shine. The show has been renewed for a 3rd season and while this season didn’t live up to the success of the first I am still very much looking forward to where the series goes. 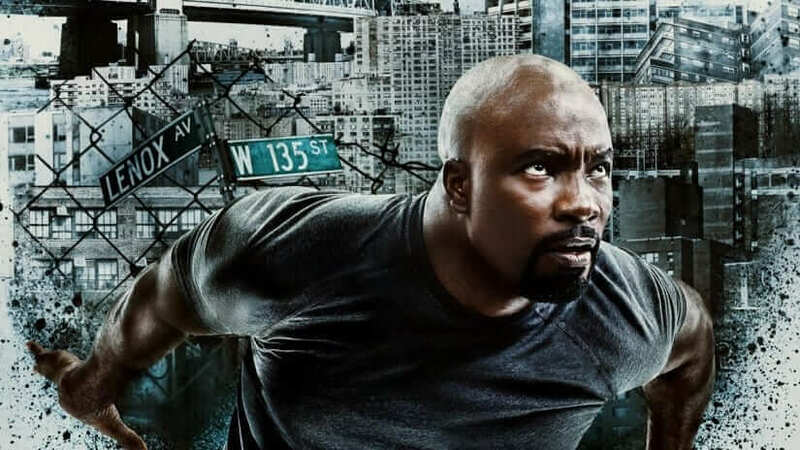 After his confrontation with Diamondback, Luke Cage has become the hero celebrity of Harlem. With the streets clean new and old threats rise to tarnish the work of the hero of Harlem. When the first season ended I was left with a bit of a sour taste in my mouth, with what started as an excellent show ended rather stale. So after watching this season, I was pleasantly surprised. While it isn’t the best season of TV Netflix has produced for the Marvel-verse it was still a very entertaining outing for the Power Man. Both old and new villains appeared and they handled the juggling of the adversaries very well, while not an out and out villain and more of an Anti-Hero of this story Bushmaster (Portrayed by Mustafa Shakir) was an excellent addition. Alfre Woodard reprising her role as Mariah Dillard was excellent, as a villain, she played her role perfectly as I hated her for every second she was on screen hoping all her scheming would come crashing down around her. Danny Rand returns to keep the peace in the city of New York using the powers of the Immortal Iron Fist. After a poor reception from its first season, season two has been seen a much better response, while still not as popular as Daredevil or Jessica Jones, compared to the way fans and critics alike had reacted initially it’s safe to say Iron Fist season two is certainly a much better show than what came previously. Even with the positive to response to season 2, this hasn’t been enough for Marvel and Netflix to push ahead for the 3rd season. While it is a shame this is the last we’ll see of Iron Fist on a stand-alone show there is no reason why we can’t potentially see a ‘Heroes for Hire’ show with Luke Cage. Barely surviving the events of the Defenders, Matt Murdock has taken refuge in Saint Patrick’s Cathedral. While recovering from his wounds, it is revealed that Wilson Fisk has been released from prison after making a deal with the FBI. Enraged by this news, Daredevil throws away his philosophy and will stop at nothing to put an end to Fisk once and for all, even if that means killing him. Will Matt come to his sense? Can Karen and Foggy bring Matt back to the light? Season 3 had another phenomenal showing just when the MCTVU really needed a show to step up. Charlie Cox was incredible as Daredevil and really embodies the role he was born to play, not to mention Vincent D’Onofrio’s as the Kingpin never fails to impress. The new approach to Bullseye felt grounded and worked brilliantly within the story. All the cast can be credited for their excellent performances for season 3. Sadly this will be the last time we see them reprise their roles on Netflix after news broke that Daredevil has been canceled. Without mercy, bloodier and ruthless Frank Castle was incredible this season carrying out his extreme vigilante justice. Absolutely born for this role you can see just how much Jon Bernthal enjoys playing the role of Frank Castle. The second season was a vast improvement upon the first and when the show finally feeling like its about to hit its stride we may never get to see the true potential of The Punisher. Hopefully, this isn’t the last we see Frank donning the white and black but we aren’t holding out much hope for a third season. In the climax of season 2, Jessica’s mother was killed by her best friend Trish. Devasted at the loss of a family member how will this impact Jessica in season 3? An official release date is yet to be announced for Season 3, but considering that production has all but wrapped up we can expect a Summer release date. Sadly this IS the very last season we receive for a Marvel Netflix show.